According to the American Association of Orthodontists, the suggested age to have your child assessed by an orthodontist in Brooklyn, NY is that of seven. At this age, not only will some permanent teeth have erupted, but also Dr. Mohamed AlJanabi of Brooklyn Orthodontics, can identify both bite and space problems. After an examination, Dr. AlJanabi can suggest jaw expanders, space maintainers, or other dental services that can decrease the possibilities of malocclusion when your child’s other permanent teeth erupt. Designed to lessen both active treatment time and cost, two-phase orthodontic treatments entails a waiting period during which Dr. AlJanabi will guide the eruption of your child’s teeth in a first phase of treatment (the interception stage) into the second phase of the orthodontic process to properly align the teeth. This is highly focused treatment plan that synchronizes tooth alignment with facial changes to create not only an ideal and healthy bite, but also a more beautiful and desirous smile. Phase I begins with the eruption of some of your child’s permanent teeth. This includes the four lower front teeth and the four permanent first molars; these are essential anchors in orthodontic appliance design and installation. Normally, during this stage, jaw expanders, limited braces, and habit (thumb sucking, mouth breathing etc) correcting appliances are suggested to improve the malocclusion. These appliances allow your child’s jaw to develop more properly while they create enough space for the upcoming permanent teeth. First, Dr AlJanabi and our team will take all the necessary diagnostic records from your child: current bite registrations, face and mouth photographs, and various x-rays. These records will be the basis for treatment plans. If there are any sign of space problems or delays in jaw development, early orthodontic measures can treat the issue. As skeletal growth still occurs from ages 7-11, this is the ideal age for beginning the first phase of orthodontic treatment. During this period, we will wait for the remaining embedded permanent teeth to erupt. As you may remember, an appliance is already installed in the first phase of treatment; however, if this orthodontic appliance obstructs permanent teeth from erupting, it will be adjusted or removed. Furthermore, during this resting period too, we will monitor the success of the first phase of treatment. While there should be ample space for the erupting teeth, as planned in first phase of orthodontic treatment, there may be baby tooth extractions to accommodate the erupting permanent teeth. Additionally, during this rest interval, patients ought to visit our office every six months for a periodic recall to examine the changes in their oral cavity and to observe their orthodontic progress. The first phase does not leave the teeth in their intended positions. It is in the second phase that Dr. Aljanabi will align your child’s teeth. In this phase, Dr AlJanabi usually will fit upper and lower braces, beginning the second phase of treatment after the last primary tooth is lost, usually between ages 12-14. After every treatment phase, a retainer will maintain the position of the teeth and prevent teeth recoil movement. Deferring this option, even though your child may need it, could result in a more complex and invasive treatment plan later in their life. I know you hope all the best for your child. This includes a healthy smile. If you are interested in that to your child, feel free to give us a call at Brooklyn Orthodontics and Dr. AlJanabi can suggest the best treatment plan available. 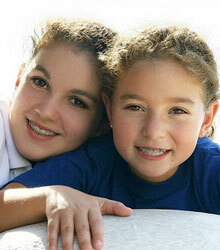 The two-phase orthodontic treatment may just be the answer.